Since its inception, the TapNLink concept has captured the attention of the electronics industry for its unique and innovative nature. It has been awarded top prizes in events for different industry sectors; embedded systems, secure components and wireless technologies. Each of these reinforced in their own sector the originality of the concept and its alignment with the needs of industry. 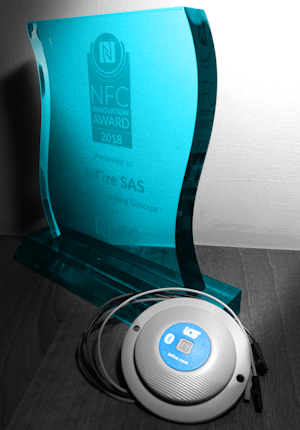 The award was attributed at the NFC Innovation Day (London). This annual event promotes innovations in Near Field Communication technologies and applications and brings together NFC stakeholders from around the world. Reduces power consumption and unwanted emissions by enabling wireless communications only after an initial NFC exchange initiated by the smartphone. 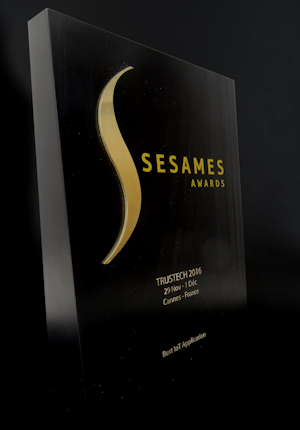 The award was attributed at Cartes-Trustech (Cannes). This annual event brings together manufacturers and integrators of smart cards and secure components, and has progressively evolved towards contactless technologies such as Near Field Communications (NFC). In addition to TapNLink's advantages of implementing without coding, and with little expertise, TapNLink also demonstrated its potential to secure communications channels used for local connection mobile terminal when monitoring or using industrial systems and mass market electronics. 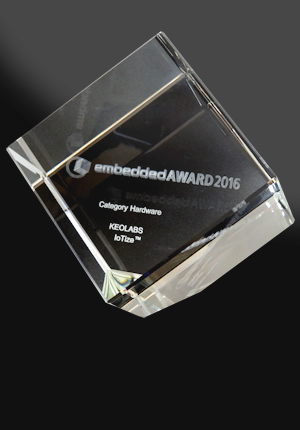 The award was attributed at Embedded World (Nuremberg). This annual event brings together manufacturers, distributors and users of microcontrollers and a wide array of associated electronic components and tools. Here, a TapNLink prototype first demonstrated the possibility of bringing instant connectivity to microcontroller-based electronic systems. In just minutes, an embedded system can be connected to a mobile terminal by simply connecting and configuring the TapNLink. No coding, no hardware designing, no changes to the native functionality of the system. This was the first recognition of the "magic" of this approach.